What can you learn about a person from his once-valued objects left behind? 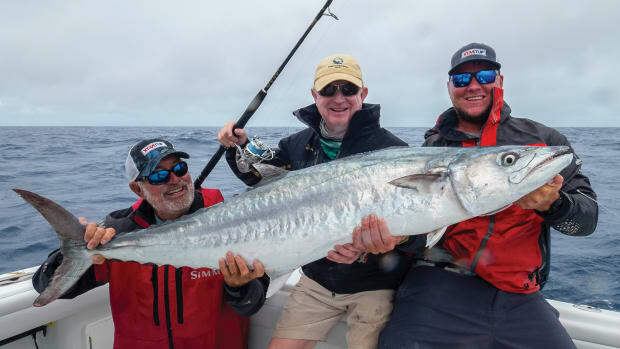 A battered trolling rod that throbbed under the strain of a record fish. A large, hook-scarred swimming plug, its paint cracked, corrosion slowly eating the metal parts. A delicate bamboo fly rod. 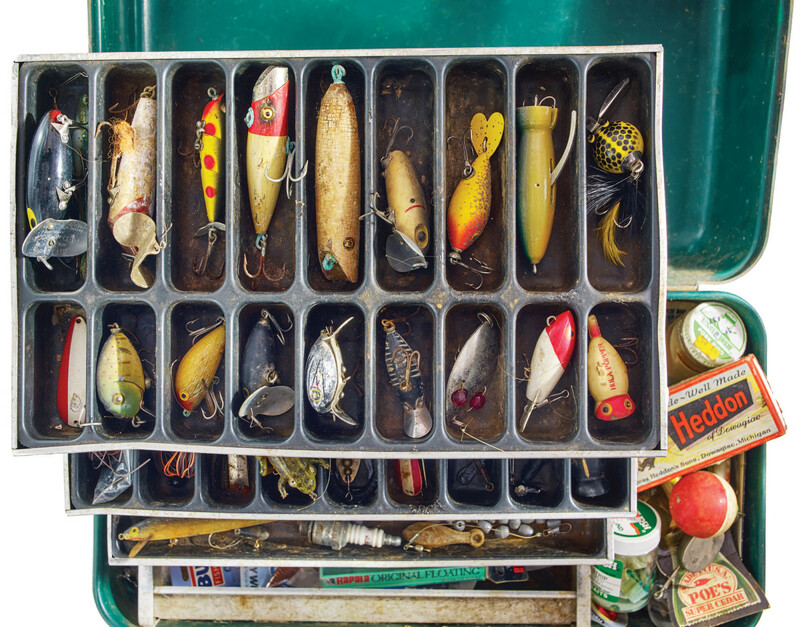 An old-fashioned tackle box arranged just as the angler left it. 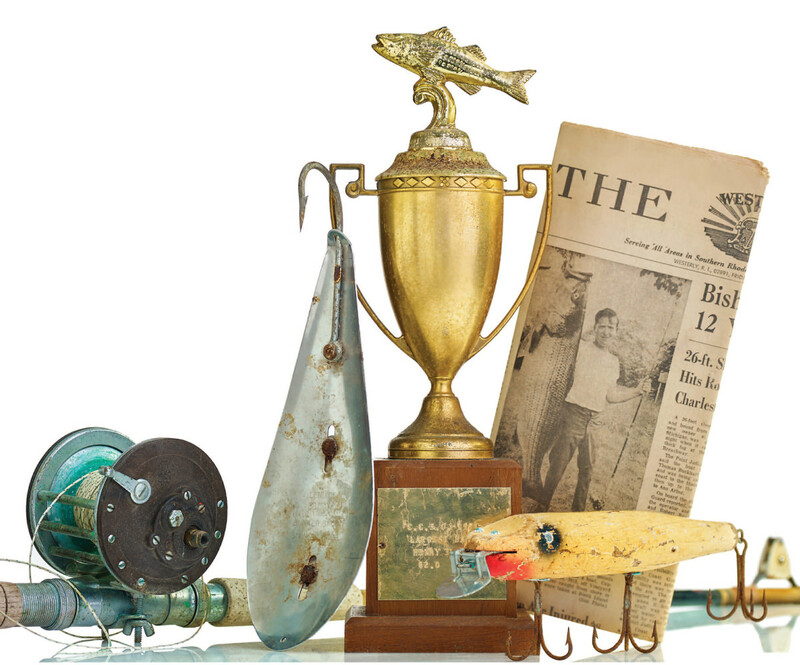 The gear shown on this page belonged to Henry Walsh, an avid, lifelong fisherman and a natural storyteller with an abiding curiosity about the outdoors. I never met or spoke with Henry — he died more than two years ago at age 78 — but I got to know him recently through his tackle, the notes in his fishing journal and conversations with his widow, Donna. 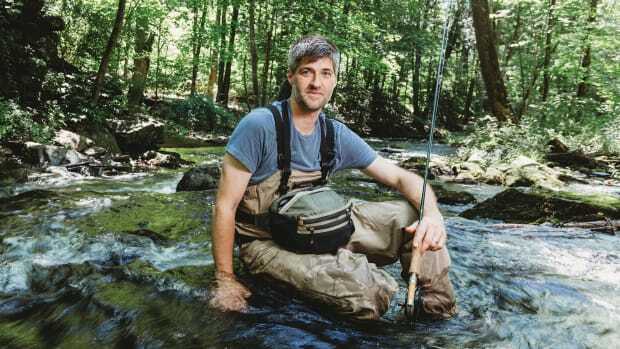 The evolution of Henry’s fishing life is evident in the variety of his equipment: the handcrafted fly reels, a tarnished bunker spoon, the worn Penn reel missing its handle, the flies he tied, a Hula Popper, a red-and-white Dardevle. At various stages, Henry fished the fresh and salt, from a boat, surf and streamside, with spin, conventional and fly tackle. If it swam and took a lure or fly, Henry was game. 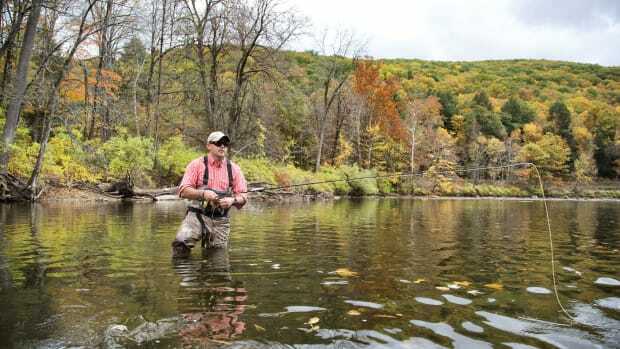 He chased largemouth and striped bass, and he fished for trout his entire life. But his greatest piscatorial love was Atlantic salmon, which he pursued to the end. The Walshes used to spend as many as five weeks each summer fishing for salmon on various rivers. Donna taught school, and Henry was a marketing rep for McGraw-Hill. For more than 25 years they rented a house on “Harrison’s pool” on the Grand Cascapedia River. They fished hard, and when the day was done they sat on the large porch, watching sun and shadows play on the water and listening to the river they came to love. “A man’s boots are important. They say something about him,” says photographer Jody Dole. Henry died in March 2015, and that summer Donna returned to the house just to sit on the porch and listen to the song of the Cascapedia. 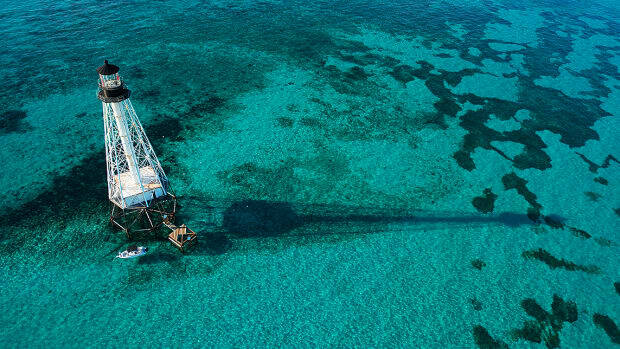 “It has a sound … smaller and livelier” than the sea, she says. 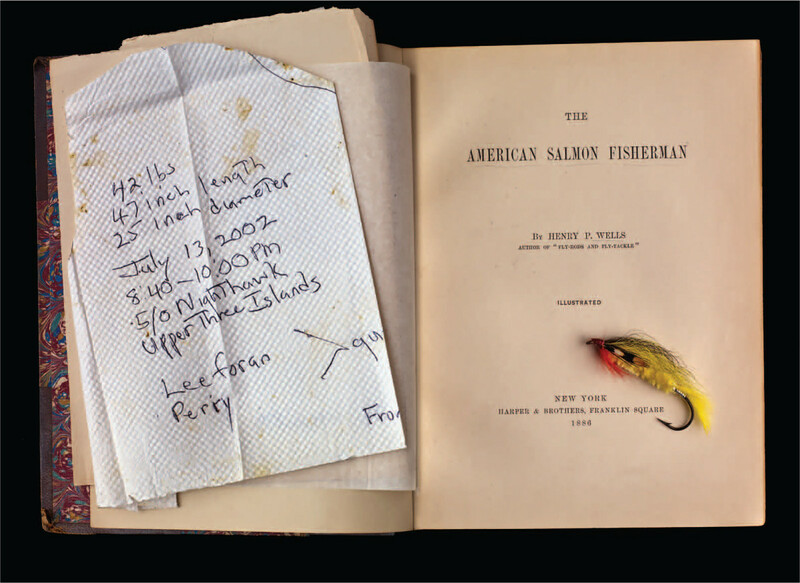 Henry’s passion for Atlantic salmon is evident in his collection of fine Bogdan reels, Thomas & Thomas fly rods, boxes and boxes of flies, and books, including The American Salmon Fisherman,by Henry P. Wells, penned in 1886. 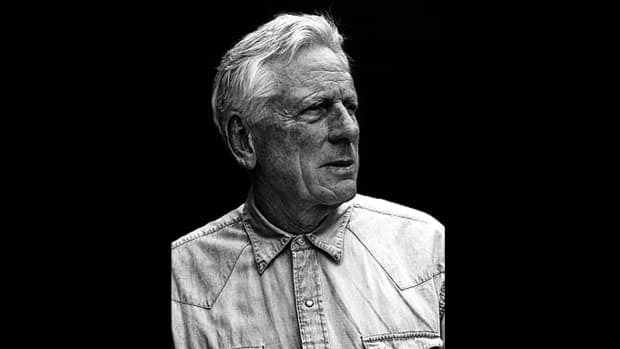 In the pages of his journal are the fisherman’s dry wit, an eye for detail, tales of his wins and losses with fish, and notes about what he considered most important: the friendships and camaraderie he found on the salmon rivers of the Gaspé. Henry Walsh’s tackle box spoke of his seasons fishing for largemouth bass. New Jersey natives, the Walshes lived in Connecticut after they married and moved to Charlestown, Rhode Island, in 1968, specifically for the saltwater fishing. Henry fished for striped bass and bluefish from the surf and a boat. And he knew his stuff. Henry boated a 62-pound striped bass trolling off Green Hill Beach, Rhode Island, almost 50 years ago. A photo of the fish and angler appeared on the front page of The Westerly Sun newspaper on Friday, July 10, 1970. 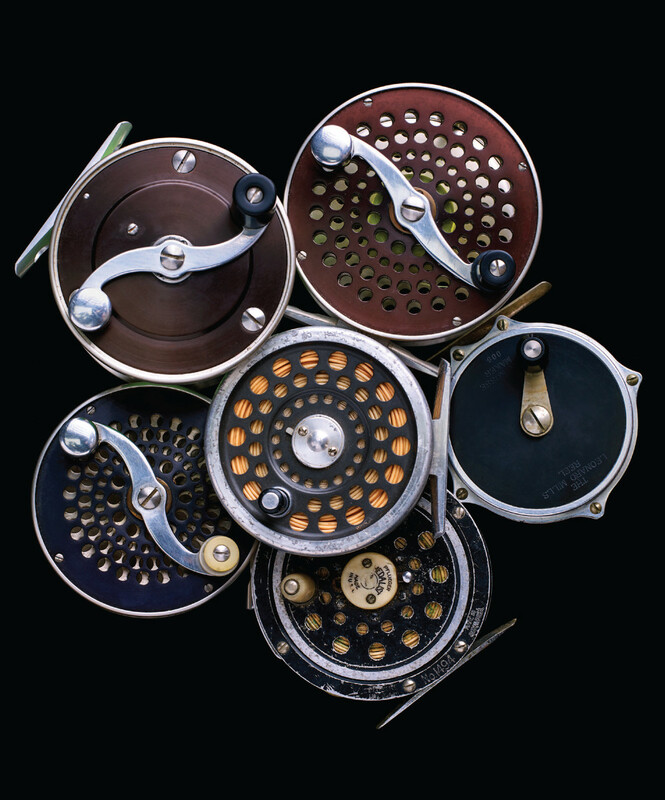 Some of Henry’s fly reels — including several Bogdans. 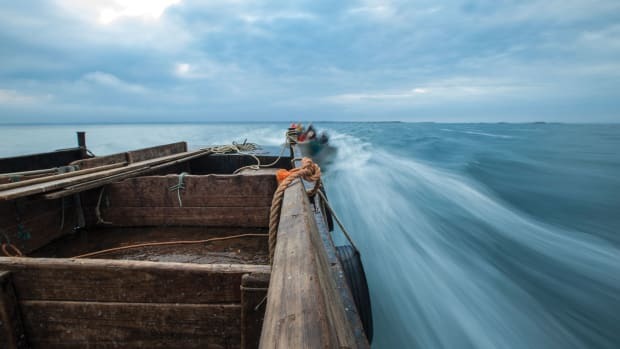 “Henry Walsh of Charlestown has given fishermen something to shoot for the rest of the season along the Rhode Island shore,” the caption states. In the photo a strong, lanky man brimming with pride is standing beside the great fish, which hangs from a tree whose leaves won’t turn for a couple of months. 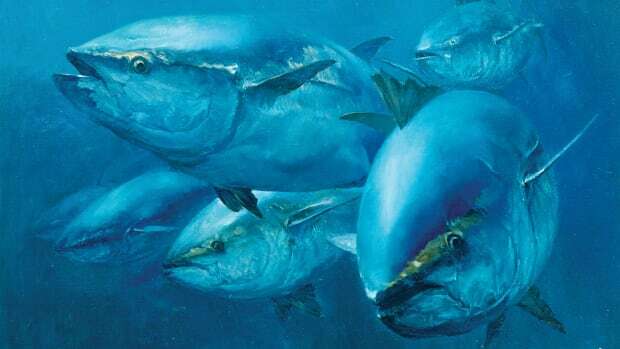 Today, the copy of the newspaper has yellowed, and the plating on the pair of first-place trophies Henry received for that fish, one of the heaviest bass caught from a boat or shore that year, is pitting. 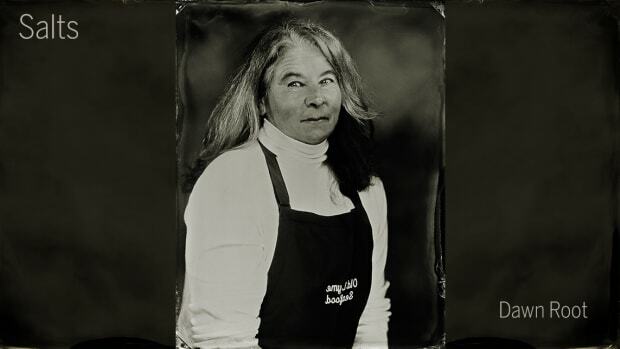 Photographer Jody Dole and I handled his equipment carefully, as if the pieces came from a museum, especially the fly rods and Bogdan reels, which are in like-new condition. “My husband said, ‘Be careful with them,’ ” Donna recalls, “They’re your inheritance.” She laughs. It was one of their jokes. The salmon gear is in tip-top shape. An old text and notes on a large salmon. 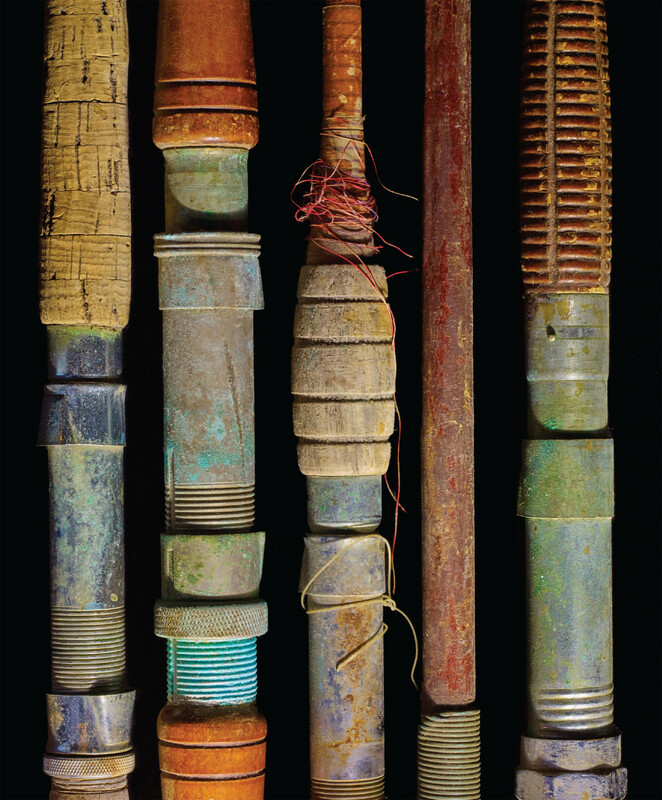 We carefully removed a bundle of battered rods that had been stored between the joists in the basement of their Rhode Island home: wooden handles, busted tips, broken guides, tarnished reel seats, wrappings that have frayed, dried, cracked and are coming unwound. 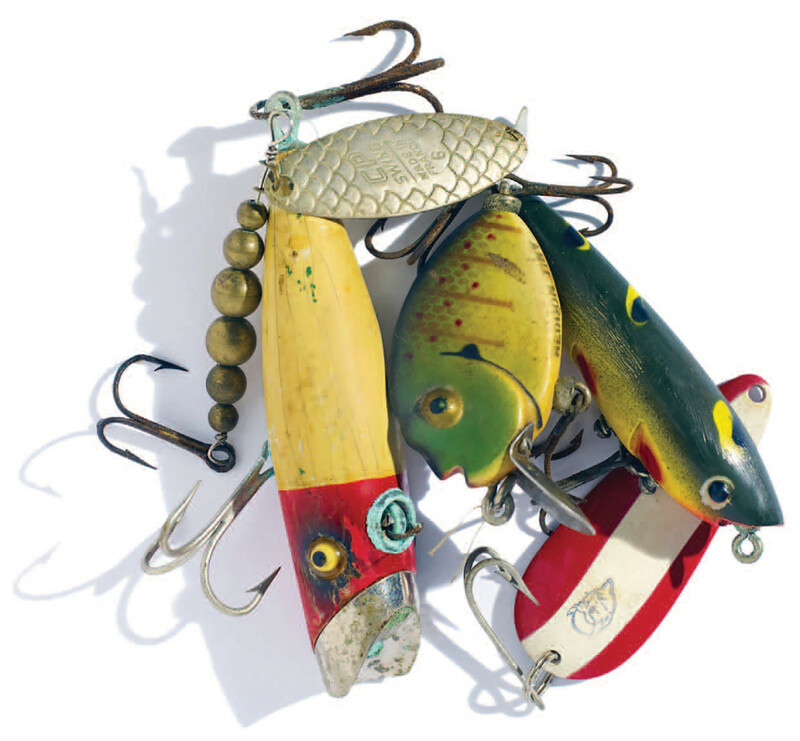 Put away and forgotten, the saltwater gear has lost its utility as working tackle and transitioned to something else — folk art, perhaps, or simply “old stuff” headed for a tag sale. 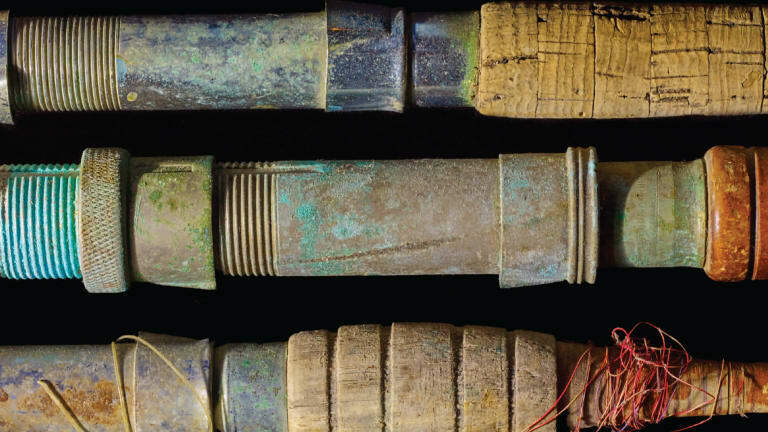 Turquoise-colored corrosion works on the inside rim of a metal spool on an old revolving reel, in the corners of the guides on a trolling rod and around the head of a screw holding a metal lip on a swimmer. Everything forgotten is peeling, checking, fading, unraveling, pitting and seizing up, waiting patiently for the master to return. Dust to dust. 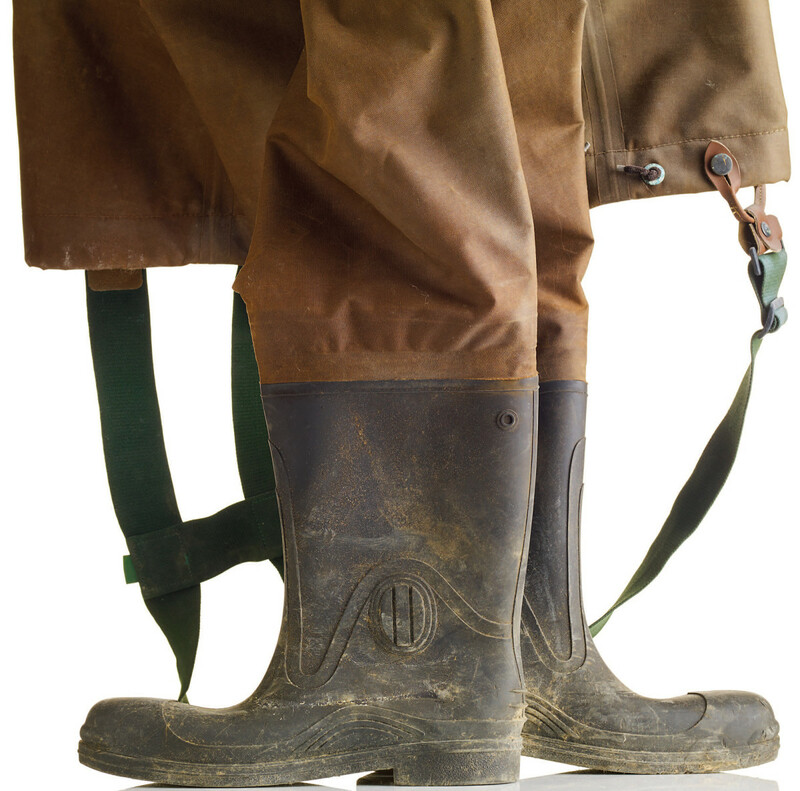 What does one see in a pair of old waders? Do they say midweek trash pickup? Or do they whisper, Come with me one more time, in memory, and we’ll fish the Petite Cascapedia. Amid the tarnish and wear there is a dignity and a nobleness to the gear, no matter how old and worn. I couldn’t help but heft the rod that Henry used to capture the 62-pound striper and finger the old workhorse Penn Long Beach No. 67, whose handle is now missing, either broken or cannibalized. The tackle speaks of dreams and passion and time that just ran out, as it does for us all. We arranged the pieces carefully and gave thought to how to photograph each one. Some things, we have to imagine; there is always at least one fish that gets away. 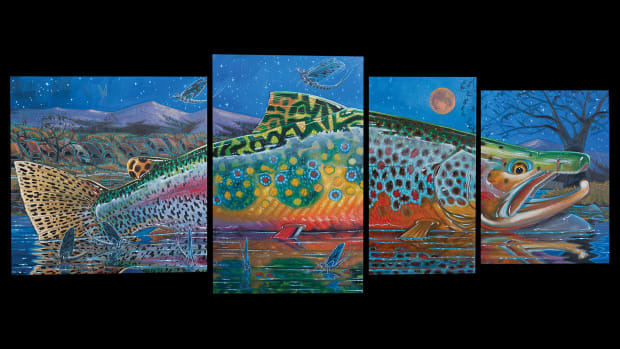 A journal entry from June 30, 1988, recounts, in short form, the story of the largest Atlantic salmon Henry ever hooked. The fish took a No. 1 Silver Rat wet fly fished in the middle of Harrison’s pool around 7 p.m., during the long days of summer. It had been a day of bright sunshine. The water was high, discolored and dropping, and the river was experiencing a strong run of fish. 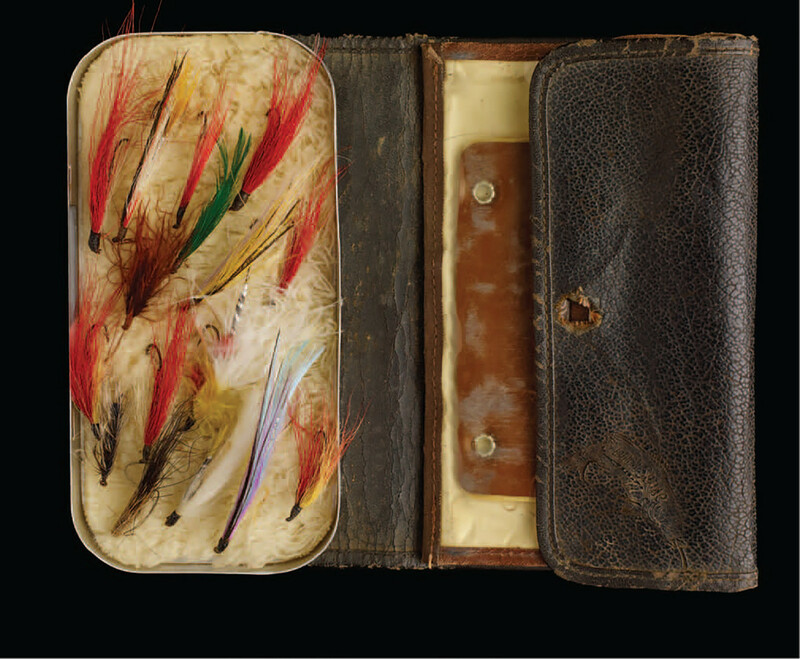 Henry Walsh was an avid fly fisherman and tyer, who in his younger days was known to throw a plug or spoon. Although she didn’t grow up fishing, Donna became a fly fisher and appears in plenty of Henry’s journal entries. “I really learned to like it,” she says, especially in Canada. Her best was a 27-pound Atlantic salmon on a dry fly. “Henry was a master with the fly rod,” she says. “And he was a great storyteller. He didn’t lie, but he could tell a story. He was smart, and he was fun, and he had a natural interest in things around him, in nature. 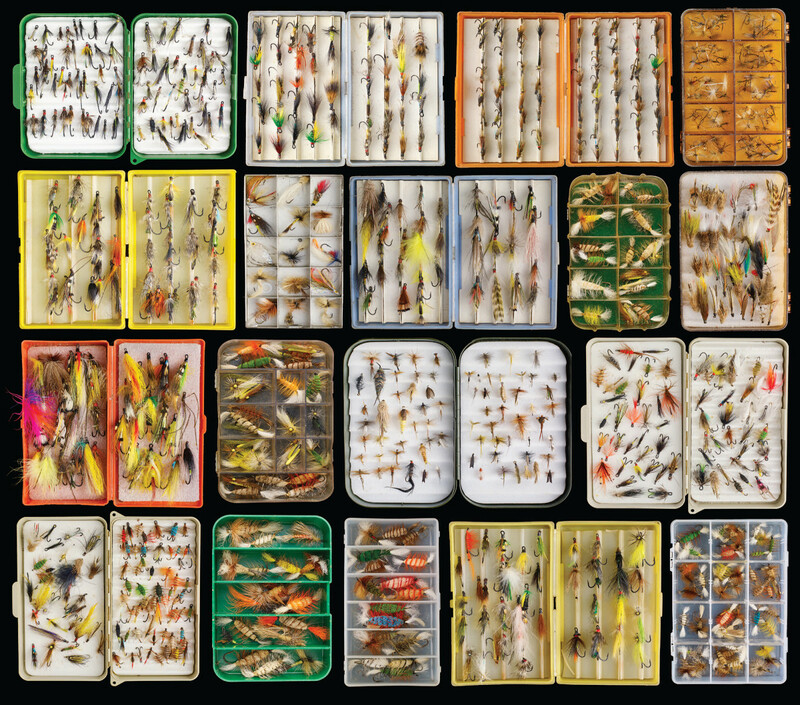 I found the short bits of line and the knots, still attached to a handful of lures and flies, tight with meaning. Something about those hard old clinch knots — pulled snug, trimmed short, still gripping the hook or line tie for all they’re worth — spoke to me. These lures had been fished, baptized if you will, and I thought I could feel a faint current still flowing through them as I held the objects in my hand. This article originally appeared in the Fall 2017 issue of Anglers Journal magazine.